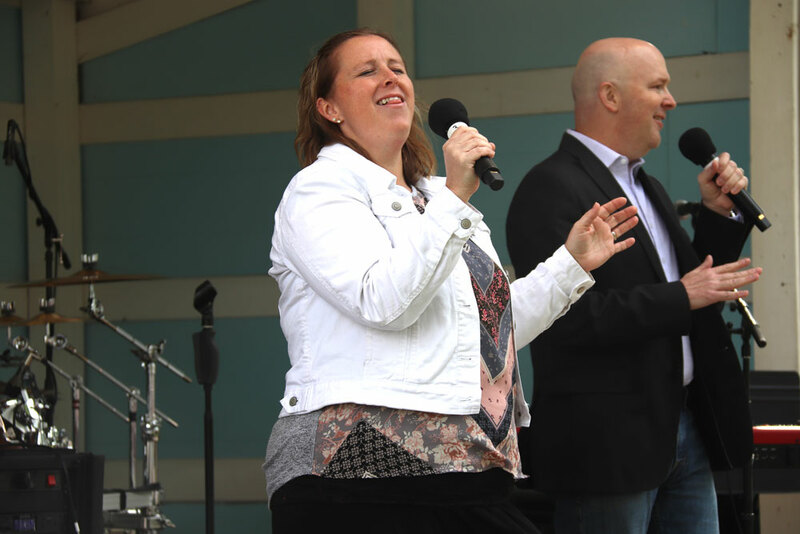 The highs and lows of Southern gospel music can warm the spirit and energize the soul. 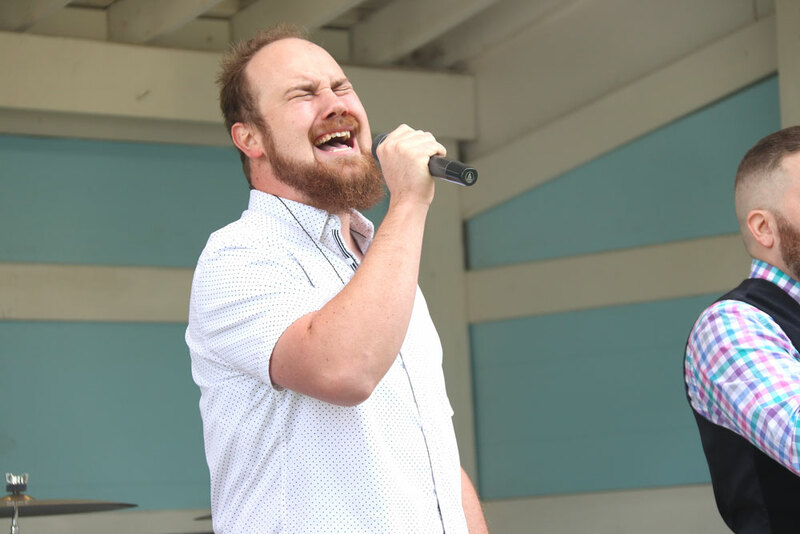 The 24th Annual Floyd Gospel Sing brought more than 25 groups to the stage in the little town of Floyd on Friday and Saturday. 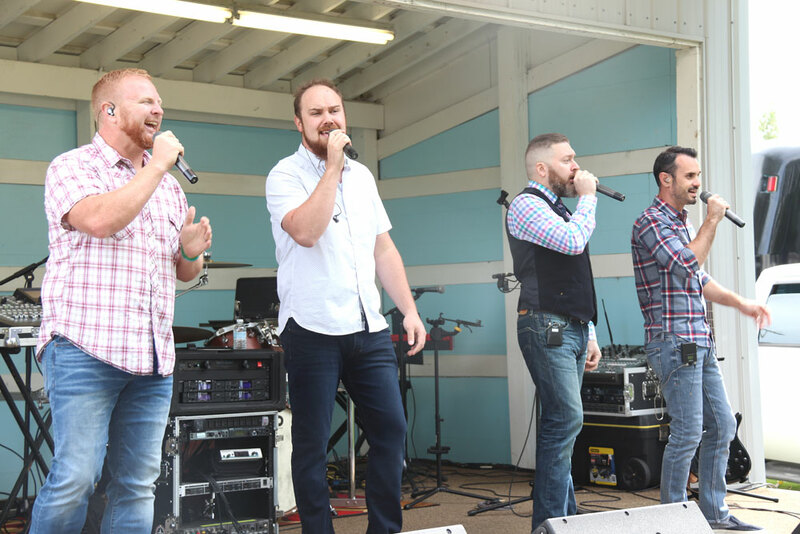 Southern gospel and some bluegrass music was heard from quite a distance away as thousands pulled up their lawn chairs to partake in the two-day festival that brought musicians and ministers from all parts of the country. 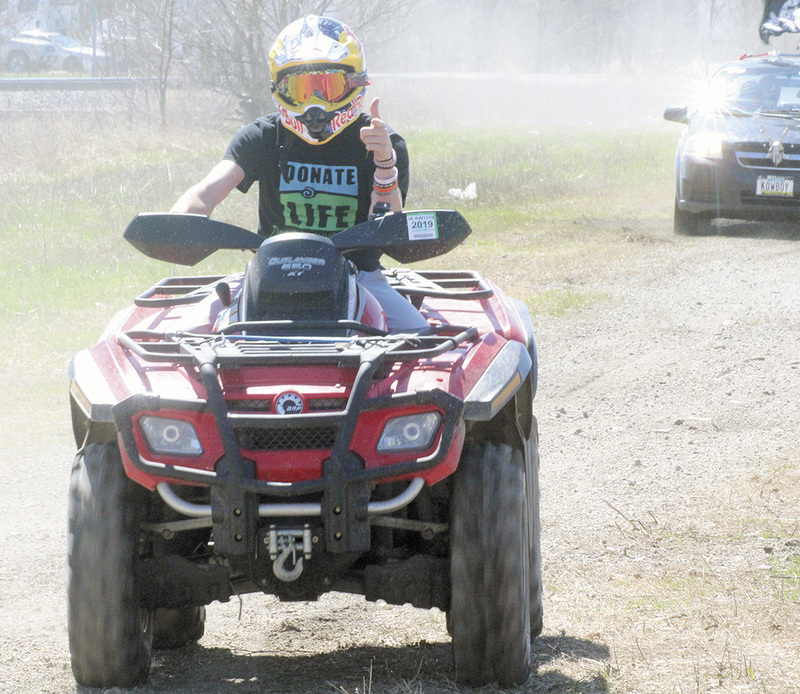 “This is one of the biggest and the best in this area, for sure,” said Jennifer Fuqua, a member of Crimson River, which was formed in the Quad Cities in 1991 and has been a staple at the event for decades. The Floyd Gospel Sing, founded by the Floyd Gospel Lighthouse Pastor Paul Phillips and his wife, Dixie, started in 1995. 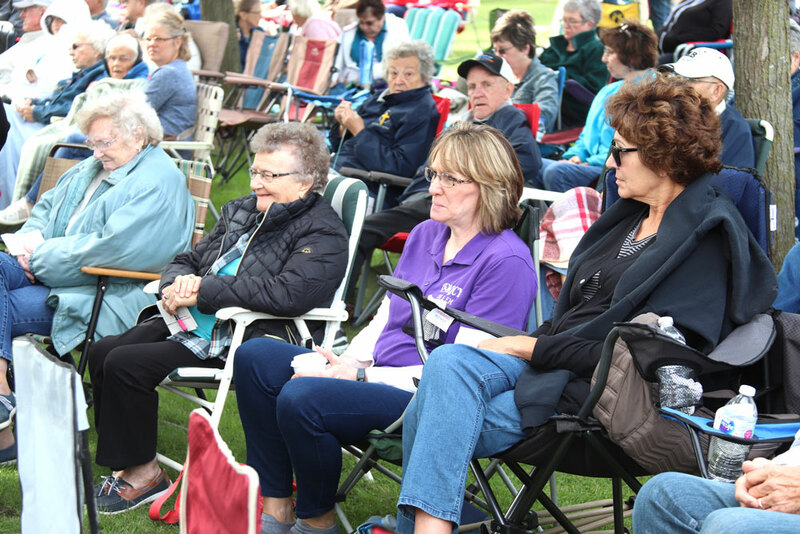 Back then about 100 people showed up to enjoy the various performers of Christian music. Now the number of attendees can reach as many as 2,000. 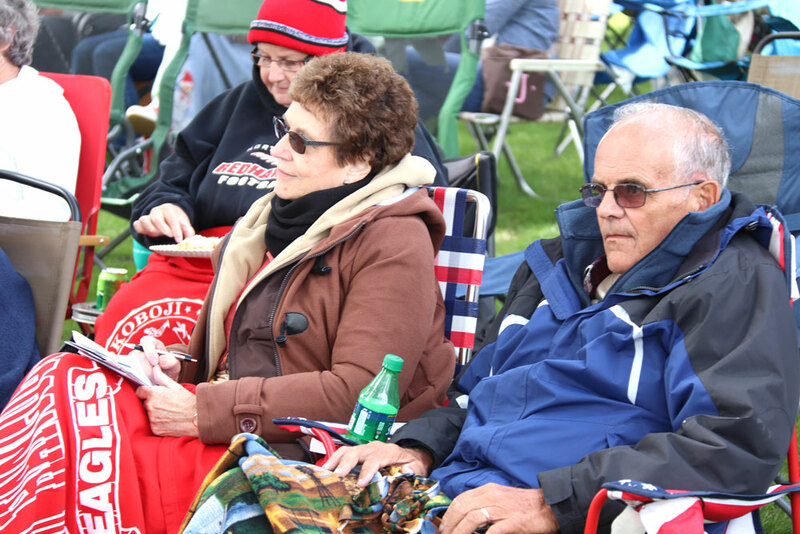 The weekend weather was a tad chilly, almost fall-like, but that didn’t stop the folks in the crowd from enjoying themselves. “Southern gospel fans are some of the most loyal fans you’ll ever find. 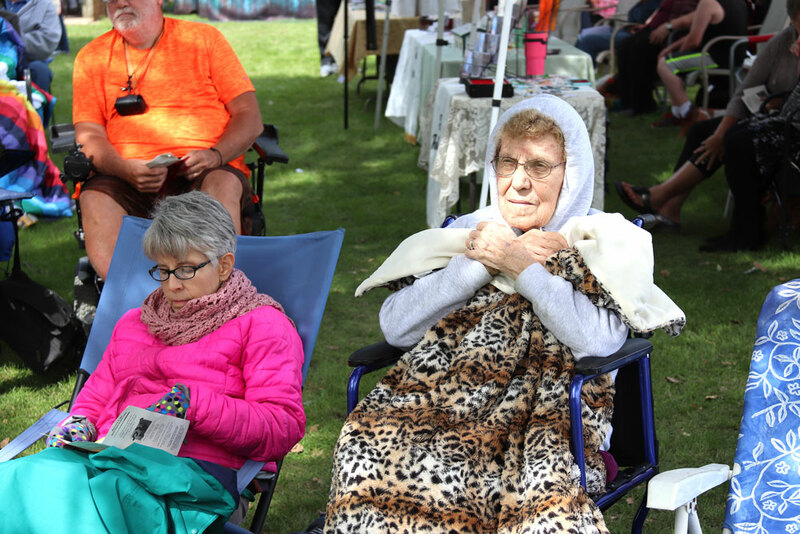 They’ll sit out here in the rain or they’ll travel 200 miles to get to hear their favorite group,” said Dixie. Once such group Friday afternoon was Adam’s Call, headed by singer Bobby Davenport. The group is from Nashville and is going through a period of change. 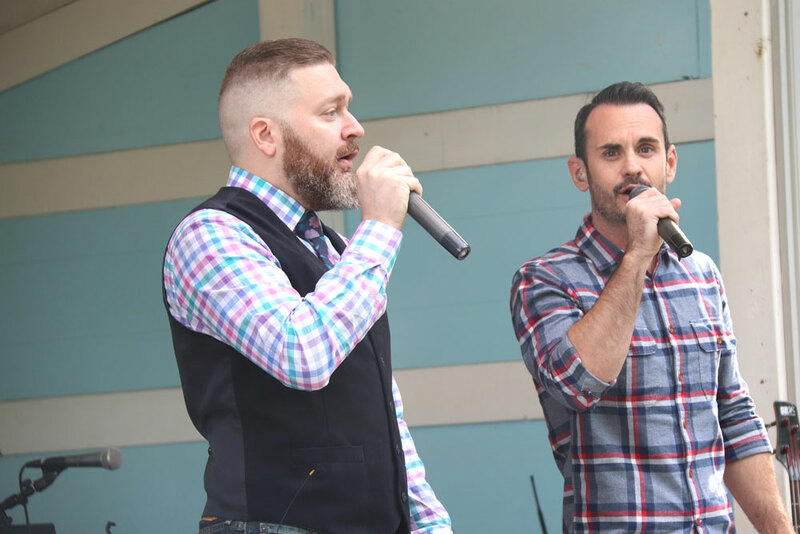 “The three of us, this is the first time we’ve ever sung together,” Davenport said. Davenport said that one of his past group members is going through some health issues and another part of the trio got engaged and moved away. 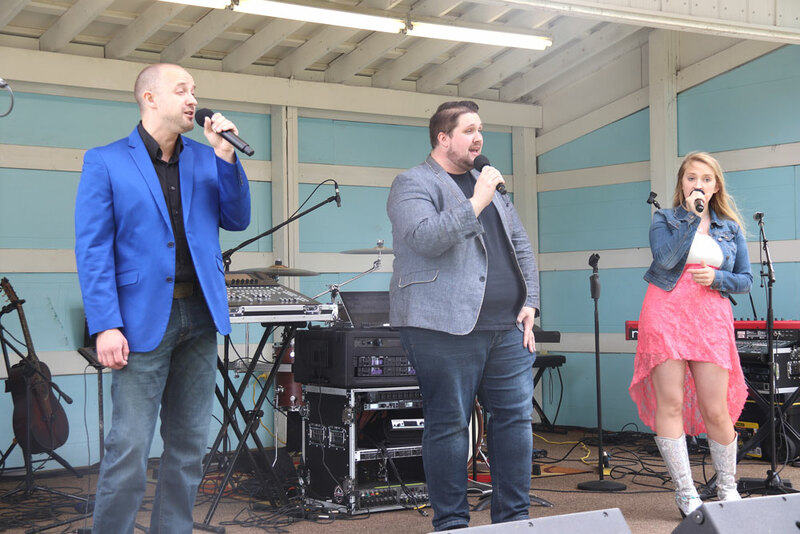 That meant the other singers on stage to sing with Davenport — Ashley Burke and Matt Ide — are vying for a full-time spot in the group. Davenport said he just got back from Berlin, where he performed at a music festival there. Burke, who said she has been singing since the age of 3, works as a host at the Grand Ole Opry. She was awarded with a chance to join Adam’s Call after responding to an online ad. 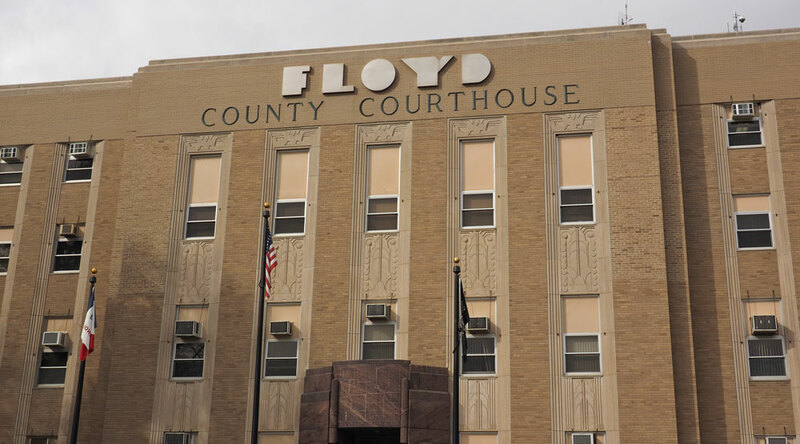 She knew three weeks ago that she would be performing in Floyd, but was first introduced to Davenport on Wednesday. Burke’s dream is to one day be able to perform on the storied Opry stage. “One step at a time,” she said with a smile. Ide, who is originally from upstate New York, moved to Nashville with his wife in 2014. He said his love of singing helps him overcome stage fright. Ide said he was impressed with his first trip to Iowa. “Cornfields and the caucus — and ‘Field of Dreams,’” Ide said about what he first thought of Iowa. 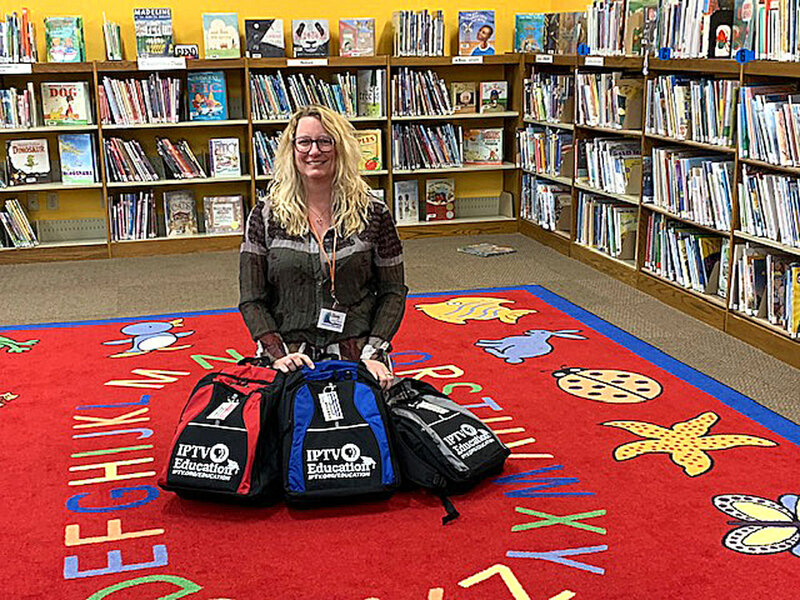 Sarah Thieme, a member of Crimson River, has been coming to Floyd to sing for about five years. 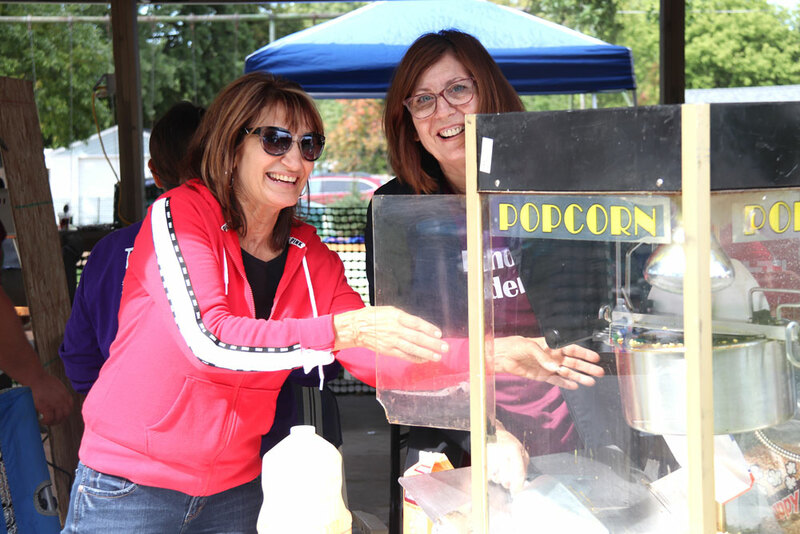 As the music pulsated and the applause echoed, vendors continued to sell their merchandise in the Floyd Community Park. Food was served at a stand to the south of the park and at the community center. “There’s amazing energy for such a small town and such a small area,” said Fuqua, who lives in Ankeny. Many groups in attendance also sang at various churches around the area on Sunday. 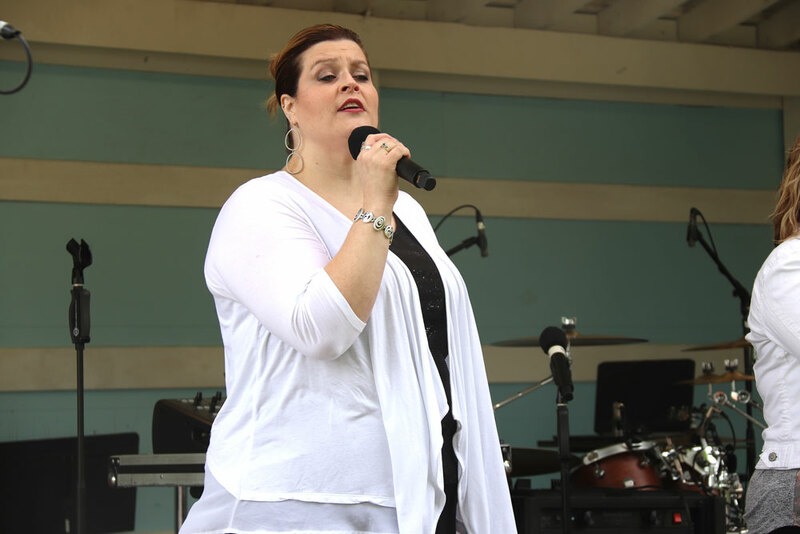 Dixie Phillips, who herself is an accomplished gospel singer and writer, said she feels uplifted by the songs that are sung at a festival she helped create more than two decades ago.